Looking for an easier way to do your payroll? Setting up and running a small business takes a lot of time and effort, so you need enthusiasm, confidence and passion in what you do. Even payroll. Yes, that’s right. At Sage One, we believe that what you might think of as the demanding (or boring) admin stuff can be something you can learn to enjoy. After all, everyone needs a pay day! 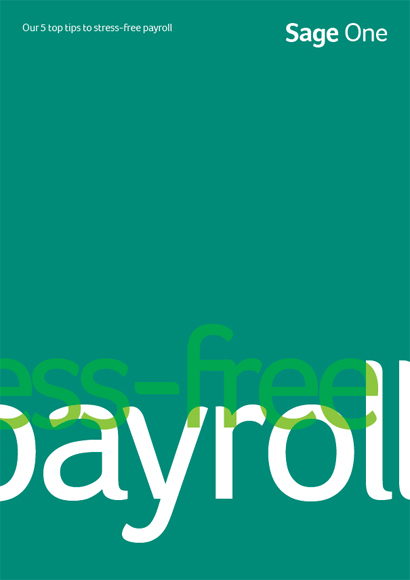 To see how, download our free ‘5 top tips to stress-free payroll’ guide by completing the short form to the right.